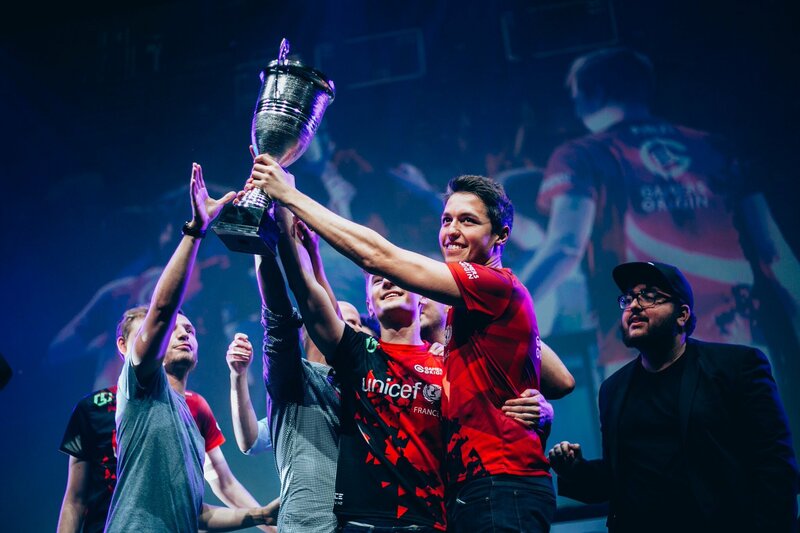 GamersOrigin’s teams attended two main events this weekend. Occitanie Esport at Montpellier counted towards the League of Legends Open Tour, while Den took part in the LAN Hearthstone tournament of the event. At the same time Purple and Gallon tried their luck at DreamHack Austin, a tournament also hosting a WCS tournament in which Stephano was engaged. Our League of Legends team tried to take the top spot of the Open Tour and qualify for the next season of the European Masters. The beginning of the tournament was straightforward, before a tougher opposition, Vitality Academy, crossed their path in semifinal of the winner bracket. If Vitality Academy defeated us at DreamHack Tours, this time we were victorious (2-0). For the final of the winner bracket, the team was not able to take the win against Gentside (1-2) but kept a strong will to defeat them in grand finals. A victory against LDLC (2-0) inside the loser bracket gave them the opportunity to do so. Occitanie Esport grand final was played BO5, with a 1-0 lead granted to Gentside as leader of the winner bracket. GO conceded the first game, due notably to an astonishing xMatty playing Xayah. While GO players were nearing elimination, Toaster’s Ezreal and TynX’s Nidelle fortunately allowed them to come back to 1-2, then 2-2. The same infernal duet played also the very last game and once again took the win. The reverse sweep happened. GO eventually won the LAN and is now on the top of the LoL Open Tour. The team is assured to play the European Masters season 2! Armateam organized a Hearthstone tournament as part of Occitanie esport. Den took part in and qualified for the “elite bracket” by clinching the top position of his group. However, he lost against Morrison, then against Vallux, and was kicked out of the tournament. DreamHack Austin was held on the other side of the Atlantic. For this WCS race tournament, Stephano had to go through a true obstacle course: three successive group phases to reach the top 16. The path seemed really easy for our Zerg player, who reached the ultimate bracket of the tournament but then lost against Snute 3-1. This is still a notable performance allowing Stephano to gain 300 WCS points. Gallon and Purple participated in the Texan Hearthstone Grand Prix, with 110 players attending and only 16 spots for the final bracket. Sadly none of the two reached the top 16, although Gallon only failed in the ninth Swiss round, the very last.